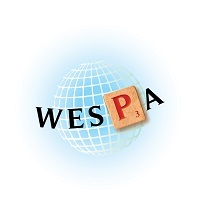 WESPA's Scrabble Calendar is a truly global one - the tournament schedule is co-ordinated by the Tournament & Rating Committee and sets the rating criteria for tournaments on the World circuit. Tournaments are to be played to the current version of WESPA tournament rules (WESPA Rules V3), except where variations have been permitted by prior arrangement with WESPA. Organisers must pay the WESPA ratings levy (currently US$1 per player for members and $2 otherwise, subject to a minimum of U$20). Organisers must make available to WESPA all relevant documentation and publicity material including but not limited to: application form, tournament flyers, etc. Tournaments ancillary to, and organised in conjunction with, those eligible under points 1 to 3 above. In addition, WESPA will offer to rate a certain number of local tournaments that do not meet the criteria for International Tournaments, subject to the following criteria. NOTE: Submissions for rating local events may be approved by the TRC on a case-by-case basis even if all criteria are not strictly met. Please contact your regional TRC representative or the TRC chair if you have any questions. Tournaments where zero players have a WESPA rating are unable to be properly rated. Please liaise with the Tournament and Rating Committee (TRC) for any guidance. Applications for rating a specific event which is not exempt are to be forwarded to your region representative or the Tournament and Rating Committee chair using this form. Consult the "Apply for Rating" Tab for more information. Applications for rating a specific event must be forwarded to your region representative (or chair) on the Tournament and Rating Committee (TRC) using this form. Please ensure your application is sent in with sufficient notice to be promoted to the wider Tournament Scrabble Community. Your application should have as much of the information as possible included in your submission - the more information provided, the more likely players visiting this site will click for information. Once the application has had WESPA rating confirmed, the information is provided to the WESPA webmaster for inclusion on the WESPA website, as part of the Tournament Calendar. As the event approaches, it will also feature on the homepage, under the lower category WESPA TOURNAMENTS.